CA IPCC List of Toppers, Mark Sheets, Photos Nov 2017: Check List of CA IPCC Toppers Nov 2017 and all Past years. CA IPCC Last 10 Years Toppers List, Here we are providing full list of CA IPCC Toppers Nov 2017 With Photos and Mark sheets. CA IPCC First Ranker Mark sheet May 2018, Check CA IPCC Toppers Marksheet May 2018. CA IPCC Toppers November 2018 – Interview, Mark Sheet, Photos. After Providing CA IPCC November 2017 Actual Result date and Time, here we provide CA IPCC List of Toppers, Mark Sheets, Photos May 2018. Now you can scroll down below and check complete details regarding CA IPCC List of Toppers, Mark Sheets, Photos May 2018. ICAI announced that CA IPCC result May 2017 will be declared on 1st August 2017 at 6.00 P.M. So we will update CA IPCC toppers details on that date. 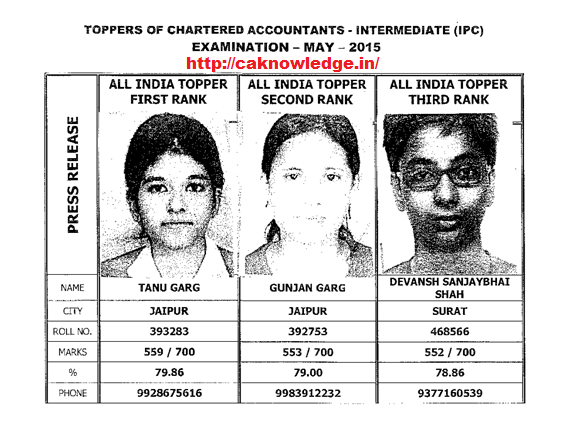 Here we are providing list of toppers of IPCC 2014 Exams. Scroll down below and see full details. 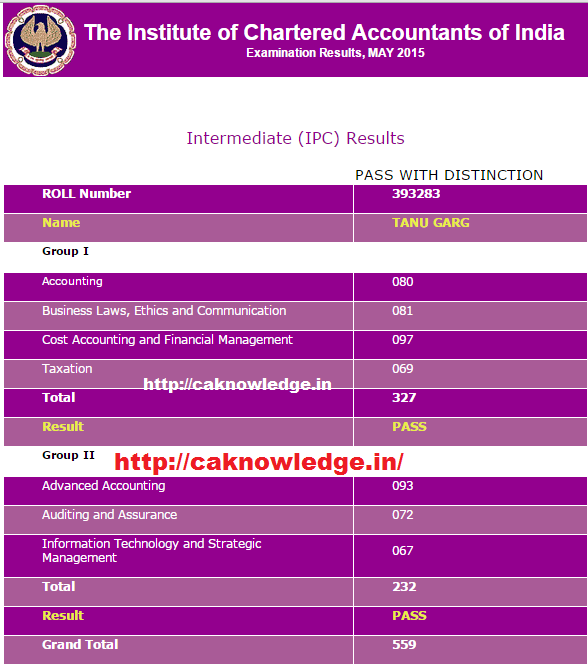 50 Ranks on an all-india basis are awarded by ICAI at the CA IPCC Level. The marks of Top 3 Rank Holders are shared below. 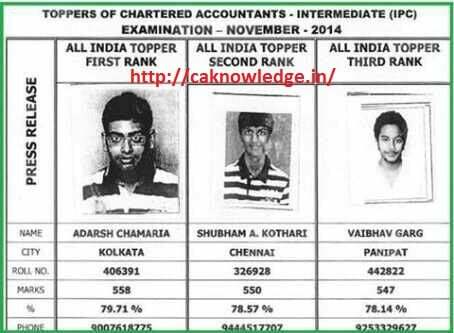 In CA IPCC Nov 2014 Exams Adarsh Chamaria from Kolkata is All India Rank 1, Shubham A. Kothari from Chennai is at 2nd and Vaibhav Garg from Panipat is on Rank 3. Now we can see topper Mark Sheet from Below.